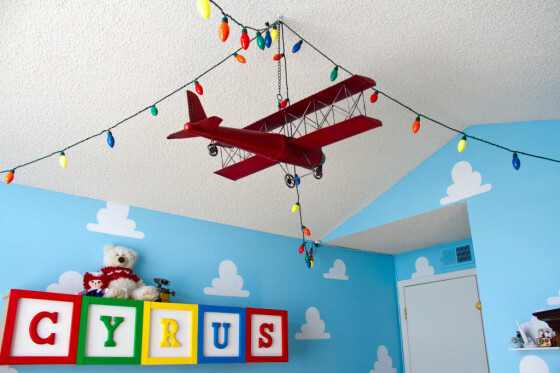 With the playful cloud stencil on the sky blue walls, the colored lights draping around the vintage airplane and the mixture of toy-sized and life-sized elements, this Toy Story boy’s room is oh-so-fun. 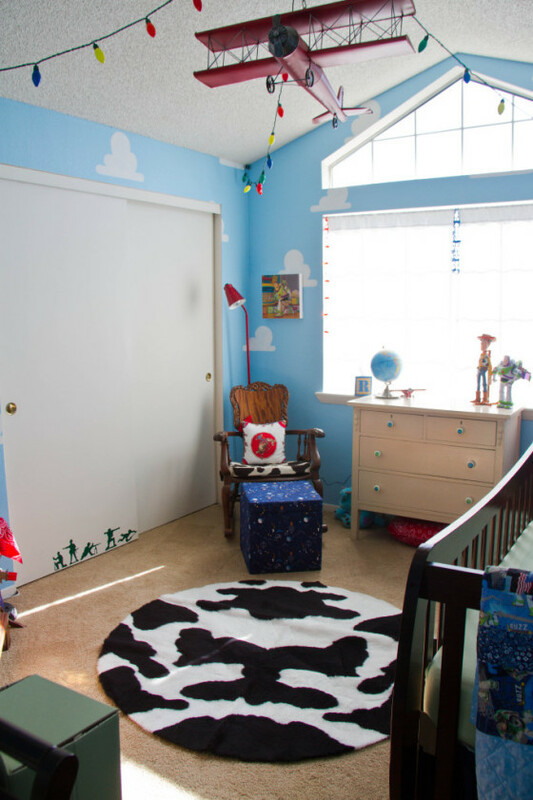 We love how Woody, Buzz Lightyear and all the most beloved and iconic details from the movie are woven into the design—it’s no surprise that this adorable room was voted this week’s readers’ favorite! hello where can i buy this garland of lights? Where can I Get the Name Blocks? 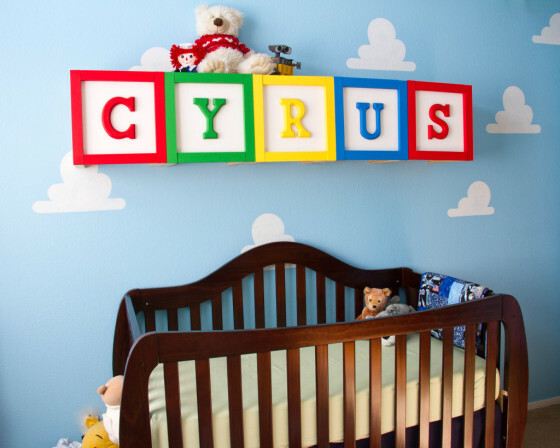 Where could I get the name blocks??? ?